It's common for the term Torah to refer to the five books of Moses. However, there are actually different terms for the different formats that the text takes: sefer Torah for the version written on parchment or a scroll and chumash for the printed, book-based version. Chumash or ?humash likely is a play on the word five, chamesh and refers to the printed version of the five books of Moses. Alternatively, some believe that it is a misreading of the word chomesh, meaning one-fifth. More formally, it is called the Chamishah Humshei Torah, or "five-fifths of Torah." The chumash is any printed and bound version of the Torah used for study, learning, or following along with the Torah reading on Shabbat. A typical chumash comprises the five books of Moses (Genesis Exodus, Leviticus, Numbers, and Deuteronomy) in Hebrew with vowels and cantillation marks divided into the weekly Torah portions. In many cases, the chumash also has the English translation of the text with commentaries that vary depending on the version of the chumash. In addition to indexing, a glossary of terms, and additional explanations of what the Torah is and where it originates, a chumash often will also include the haftarah for each weekly Torah portion, also with commentary. Sometimes, a chumash will also have special readings from the Writings and Prophets that are read on certain holidays. The Stone Edition Chumash | This version comprises the Torah, haftarot, and the five meggilot (Song of Songs or Shir ha'Shirim; Book of Ruth; the Book of Lamentations or Eicha; Ecclesiastes or Kohelet; and the Book of Esther) with commentaries by Rashi and classical rabbinical commentators, while also pulling from contemporary greats. The Gutnick Edition of the Chumash | This honest version includes the Torah, haftarot, commentaries, as well as elucidations and thoughts from the last Lubavitcher Rebbe Menachem Mendel Schneerson as well as other Chassidic insights. The Torah: A Modern Commentary, Revised Edition | This volume, published by the Union for Reform Judaism, features a gender-sensitive take on the JPS translation, not to mention a new translation of Genesis and the haftarot by late Rabbi Chaim Stern. Etz Hayim: Torah and Commentary | The Etz Hayim Torah and commentary is a highlight for the Conservative Jewish community offering commentaries focused on social justice, as well as impressive gleanings from individuals like Chaim Potok and Michael Fishbone. It also includes full-color maps, a timeline of biblical events, and more. 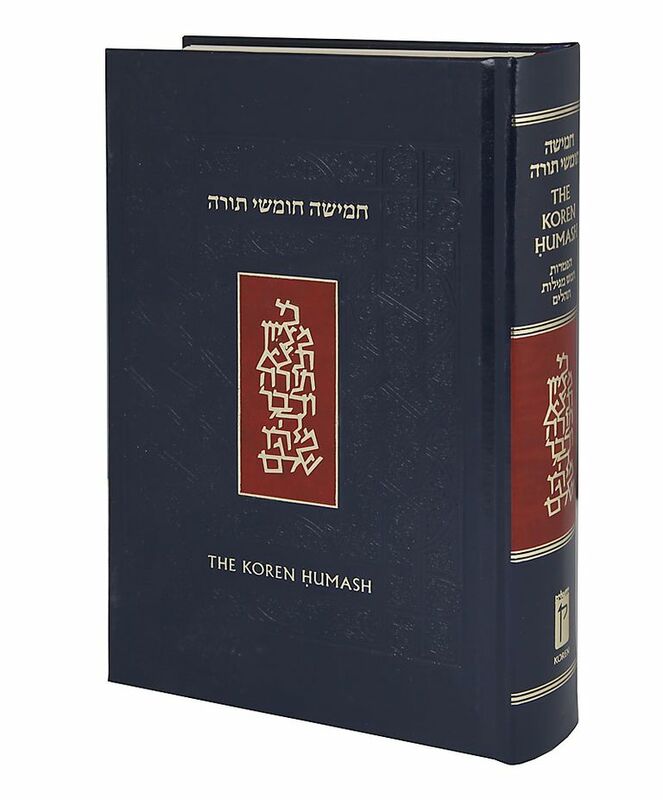 The Koren Humash: Hebrew-English Edition | Part of the Koren suite of prayerbooks and more, this chumash includes the weekly Torah portions and haftarot, the five megillot, as well as Psalms (tehillim). It’s also celebrated for its transliteration of Hebrew names. Torah: A Woman’s Commentary | Published by the Union for Reform Judaism, this Torah edition includes commentaries that reflect contemporary social, philosophical, and theological issues, as well as creative anecdotes in the form of poetry, prose, and modern midrash.